Take a vacation that fills excitement and joy in you! 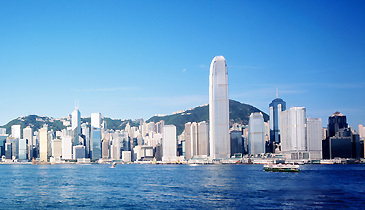 Visit Hong Kong and see its vibrant world class attractions and relish its world famous cuisine. 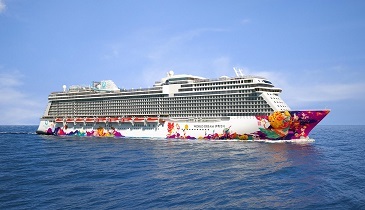 Don’t miss to sail on Dream Cruises for a romantic experience over the seas and grab great memories with your loved ones. It was d second time i was dealing wid ur company and i wud like 2 really appreciate ur support for making it such a wonderful experience. me wid my Family visited Hong Kong and Macau 2 weeks ago nd i thot it wud not be so easy as i was travelling wid my 2 kids who r below 6 years of age. But all went thru without any hassle & all the arrangements made by u were really Gud. The best part was d stay at The Venetian & visit 2 Disneyland where both my kids too enjoyed as it was a fun filled day wid magical adventures. I wud like 2 thanks to you ppl who helped me to plan these unforgettable days of my Life. "very well arranged and carried out"
we were 08 people n that too coming from different places. still you handled my booking very well and kept communicating at all points of time. however, on reaching macau, majority of us wished that we had gone for venetian option. not that anything was bad, but venetian is really something. also when u people go, try taking a night out at disneyland. the tour was fab! however, i really wish we cud spend some more time at disneyland!! i did not even know that hong kong was that great place. i just told my vacation demands and you adviced me to take this package. i did not want cruise or too much shopping. so this tour was best for me. disney is just fantastic and stay at venetian was beyond my expectation. hong kong is superb. visiting the peak is must!! however i did not enjoy that much on pisces. maybe bcoz i have already been on virgo thats why. i wish i cud stay at hong kong instead. hong kong is... lovely!! "We went for honeymoon but surrounded with kids"
Wonderful time spent at hkg n macau! very well formed and delegated package. i just wish my kids were a bit older so i could take them to casino as well. i could not stay long at casino as my kids were in room. but otherwise, our experience was awesome. it was a very nice tour. shenzen, disneyland, hong kongand macau! however when i visited disneyland i just did not want to come back! wish i stayed there too!! am highly missing that week of my life!